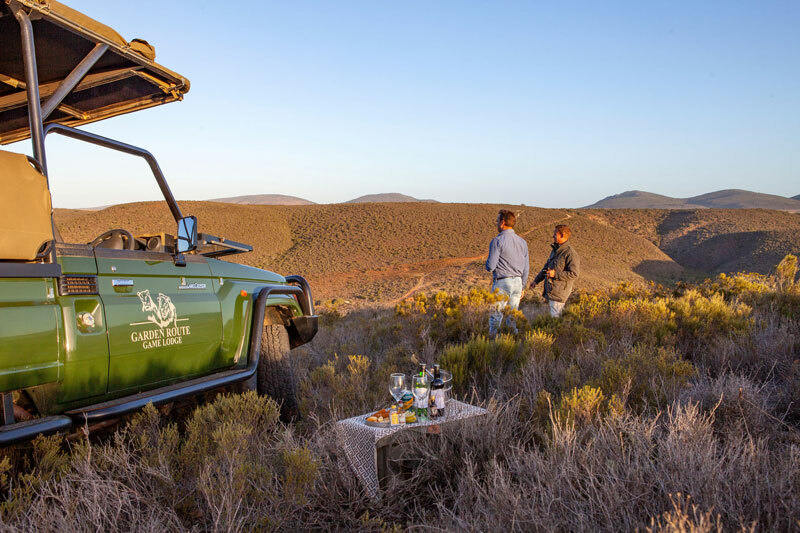 The Garden Route Game Lodge is a spectacular private reserve where the Big 5 can be enjoyed up close without the risk of malaria. Its rooms are luxurious and its setting exquisite. And, it doesn’t hurt that it’s on the gorgeous Garden Route of South Africa. In November 2018, its stunning revamp and upgrade were completed to move it even higher up on your tourism to-do list. 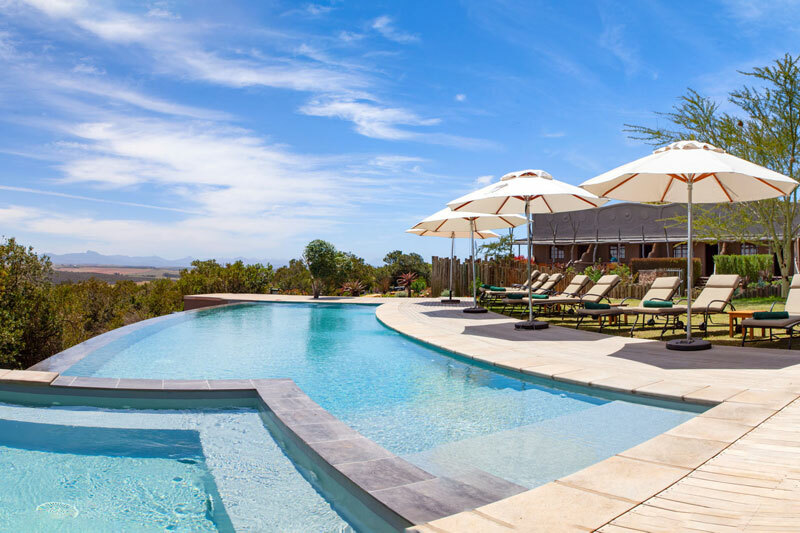 What’s more, it won the SA-Venues.com award for being the best game lodge in the Garden Route of 2018, as voted by guests. This upgrade cost a whopping R4.5 million and involved the revamping of the garden, pool and recreational space. 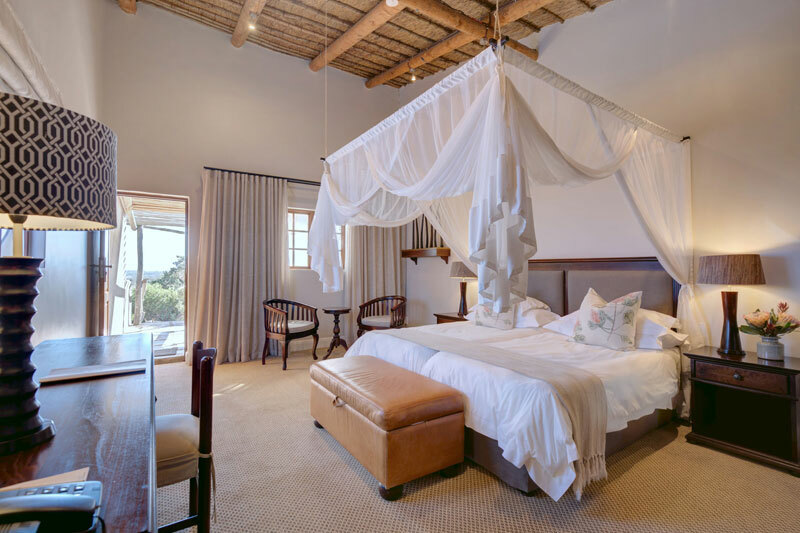 Because the Garden Route Game Lodge is popular amongst families and couples from around the world, the facilities and amenities are tasteful, luxurious, and practical to suit everyone’s tastes and needs. Two new pools were built; one in the north of the reserve, and one in the south. 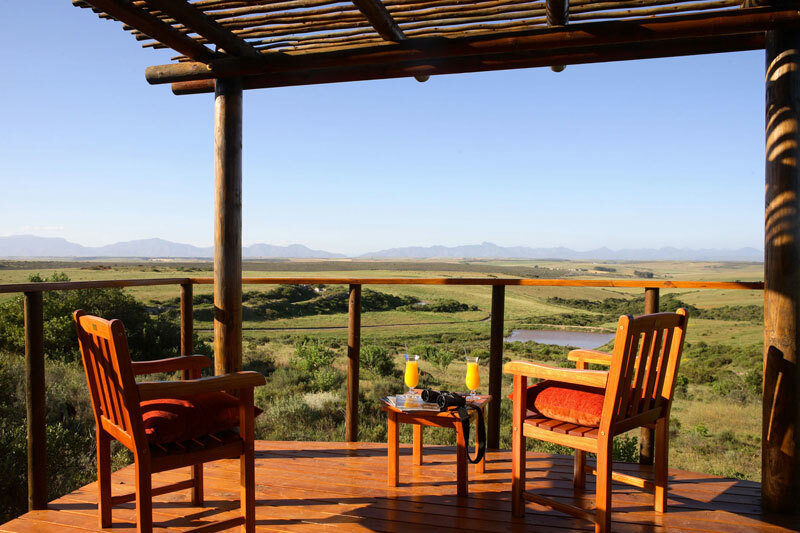 Both face the magnificent ridge that overlooks the reserve and its wildlife, and both enjoy the convenience of the shared viewing deck and poolside bar, where cocktails and light meals can be enjoyed. The pool are also both heated for the ultimate in luxury and comfort. The larger pool is an 18-metre infinity pool with an adjacent hot tub (did someone say “honeymoon hotspot”?). It has a private sun deck, which is ideal for tanning or sipping on fruity cocktails while watching some of the wilder four-legged residents enjoying their own drink at the watering hole. The family pool is ideal for little ones as there is a shallow paddling pool (only 30 centimetres deep) for toddlers, and a larger pool that gets to 1.2 metres at its deepest point. There are inviting gazebos around the pools (constructed from alien vegetation) for the perfect place to enjoy some shade and serenity. The pools are protected by low, locally-sourced stone walls so that little ones don’t wander near the water without their parents or guardians nearby. Of course, if it’s a relaxing getaway you’re after, a spa is a must. Spend hours being pampered and preened at the expert hands of the qualified therapists at the lodge. 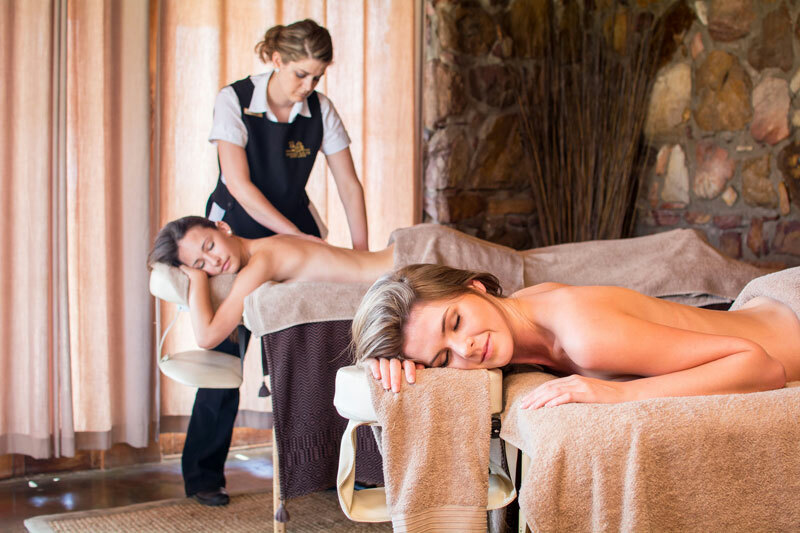 Enjoy massages and beauty treatments to the backing track of the African bushveld at the revamped Ayana Spa. 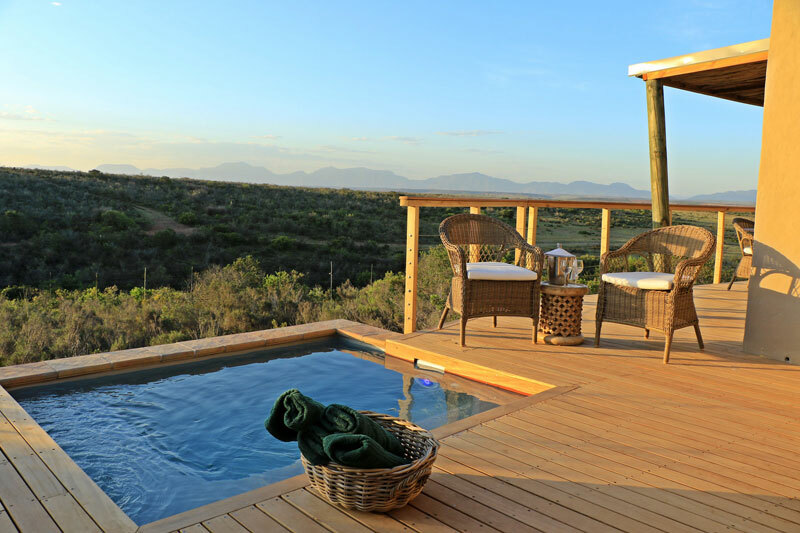 The lodge added the fabulous new Sunset Ridge rooms to their offering, each with its own private plunge pool. These are additional to the luxury lodge’s existing suites and thatched chalets. This just means even more choice and even more luxury at your fingertips. Spectacular greenery and expert landscaping are the names of the game when it comes to the Garden Route Game Lodge’s revamped gardens. Indigenous flowers, trees and bushes attract sunbirds and sugarbirds, particularly around the swimming pools. The lodge was proud to have the leading landscape architect, Darryl Price Lewis of OVP and Associates, on the job to create an inviting private area that combines the elements of charm and forward-thinking design. African-themed style and opulence await visitors to the lodge. Game drives in the early morning and late afternoon mean fun safaris with even more opportunities to see many different animal species. These include lions, elephants, leopards (if you’re very lucky), buffaloes and rhinos. Bird-watchers are spoilt for choice too, and should definitely keep their eyes peeled for raptors and other exciting species. There are guided bush walks and insect tours for the littler family members, as well as a restaurant and conference facilities.